This post is going to be another review (I know yawn! I need some new ideas). 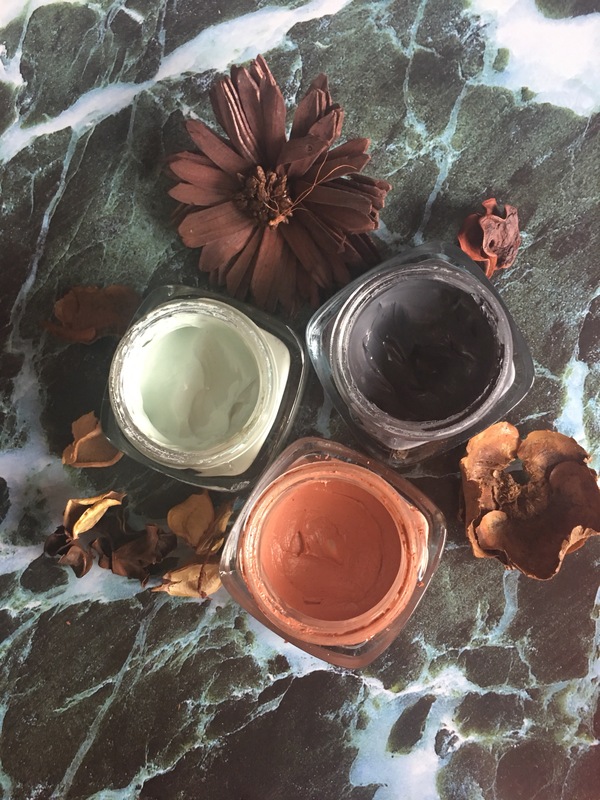 But this time I am reviewing L’Oréal’s pure clay masks! (They are not cruelty free- I’m using them up). 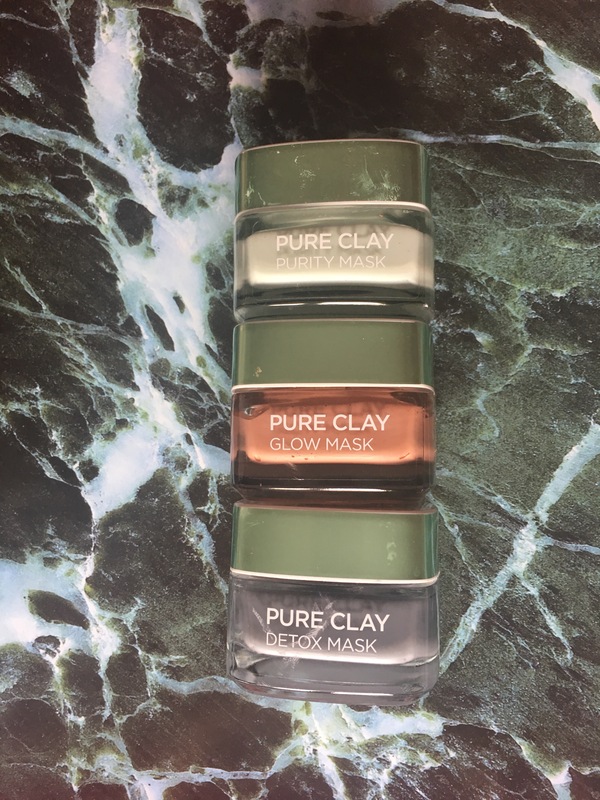 I have three; purity mask, glow mask and detox mask. They each have different purposes as give different results. The green one (purity mask) is supposed to get rid of any impurities in your skin, which can be caused by bacteria/pollution/etc… I have used this one twice or three times and it definitely opens up your pores! My skin always feels soft after, however it hasn’t helped my skin to get clear however that could be due to the fact I don’t use it regularly enough. The pink/peach one (glow mask) is supposed to make your skin more ‘glowy’ and radiant, this one I have used the most as I feel it is the most exfoliating one. My skin does feel very smooth after using it but no glow. The charcoal one (detox mask) is used to detox your face and get rid of blemishes. This one I’ve used about 5 times or so and have seen no difference to my blemishes but like the other two it leaves my skin feeling smooth and soft. They each smell pleasant and are easy to apply to the face, on the box it says 10 uses but I definitely disagree I’d say depending on how much you apply each tub could probably last you 15 or more uses. Definitely no if you’re only after cruelty free products. But otherwise yes I do recommend these, at least the glow mask one, that one seems to give the best results! I hope this post has been useful and has interested you! If you’ve used these products before and agree/disagree with me please comment to let me know your views! I got a sample of the detox mask & I agree it doesn’t help with blemishes! I have really sensitive skin and can’t use something with aloe Vera in it. Will this be good for me? Need to try the radiance mask! Love any excuse to have a bit of a pamper. Great post! It’s my fave one! And thank you! i love masks so Id be interested to see how they fair on my skin! You should defo try them! They sell a set with smaller samples of each so if you’re unsure you could always try that and Thank you! Next Next post: Q & A!